Home » Reviews & Articles » Hardware » ASUS Maximus XI Extreme: Z390 with all the things! Z390 ROG to the extreme is here! We would like to introduce you to the ASUS ROG Maximus XI Extreme. ASUS and their Maximus series of boards have been synonymous with gamers, overclockers and overall enthusiasts over the many years since ROG or Republic of Gamers came to be. However, some things have changed as the extreme overclocking or XOC community has evolved and so has the hardware. It used to be that you got a Maximus extreme board and it was the best for LN2 and benchmarking usage but could also be used for gaming while the Formula moniker was more for highly featured liquid cooling and gaming enthusiasts. 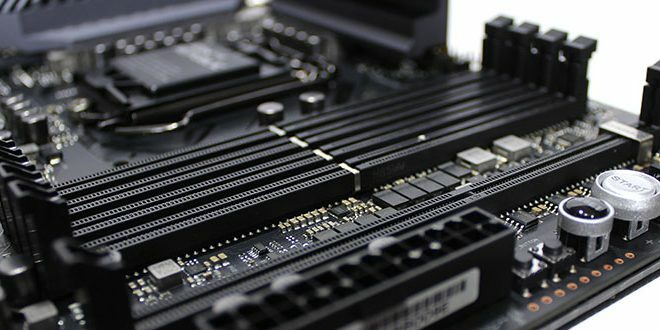 Now over the past few generations highly specialized boards such as a ROG addition of the APEX board which is specially built for optimal overclocking performance with shortest memory traces via single DIMM per channel designs. Normally APEX models arrive a little later in some cases but in the Z390 Generation, we see a mATX Gene offering being built very much like an APEX part. So now I do question if there will indeed be an APEX for this gen. BTW it’s worth noting I am really excited to lift the veil on the Gene board to see exactly what its capable of. Now to the board we have today, the Maximus XI Extreme. As I mentioned before there are now such a mix even in the ROG side of boards that the water has become a bit murky and it’s a bit tougher to know which board you need if you are a novice builder. Well, I am here to tell you that the Maximus XI Extreme has everything you would likely ever want in a mainstream model board and then some. While an XOC user may look at this and want something more like an APEX, this may not be ideal for breaking memory speed records it could still hold its own with the 10 high amp power stage VRM. It has an IO full of goodies and more than enough tuning capability to give you a good base for pretty much any Z390 based build. But at what cost. Here we get a sneak peek at the Maximus XI Extreme. Now that’s a hell of a price delta but these are the first 3 boards we received and since we review the boards in order of receipt, first up will be this one. and with that, the charts will update as more boards are tested. Do note that some of these boards are “Post Tariff” pricing which unfortunately is going to hit the motherboard market pretty hard for the most part. Now let’s look at the spec table. Note *1 When SATA56 is enabled, PCIe x 16_3 will run at x2 mode. You will notice I highlighted and bolded specific entries in RED there is a reason for this. These are the things we found most interesting and really cool. We will discuss these further. Ok, now we must explain, these were simply the first 3 boards which we received. So yes the ASUS board is leaps and bounds as far as price point over the competition in this initial review, now we just must figure out, is its feature set good enough to get you to drop your hard earned coin on it? Read on and lets dive in. 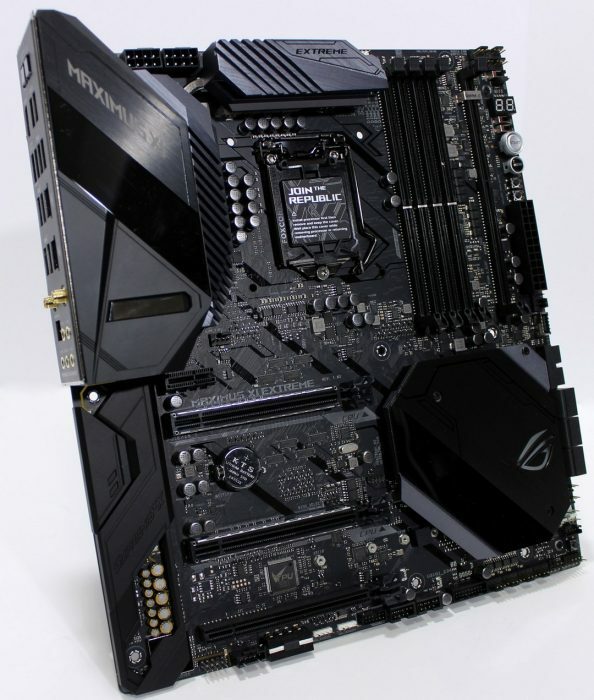 ASUS made a board worthy of the Maximus Extreme title. Some may balk at the price, but there are plenty of other board options if the Extreme is a bit too much for you to handle.